What might ultimately upset BJP's apple cart in favour of the Congress is the Lingayat vote. Election results in India have for long been guided by a sentiment of anti-incumbency. This is even more pronounced in southern states like Karnataka, Kerala and Tamil Nadu in the last three decades. Bucking the trend of anti-incumbency will be the biggest challenge for Siddaramaiah in Karnataka as he seeks another term tomorrow – May 12. In 2013, Siddaramaiah had hinted that it could be his last election but five years later, he is seeking another term. Whether he will be able to emulate Devaraj Urs – win a consecutive term after completing a full term – will be known on March 15. 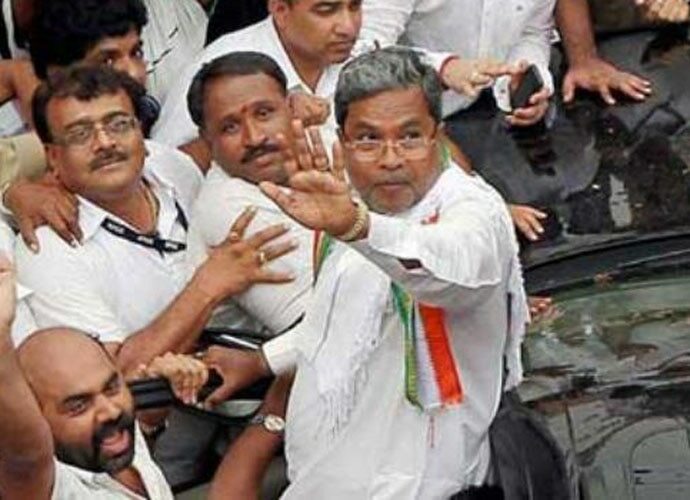 Siddaramaiah's reviving of the social alliance envisaged by Urs had turned out to be his ticket to chief ministership in 2013 – despite being a late entrant to the party. AHINDA – the Kannada acronym for alpasankhyataru (minorities), Hindulidavaru (backward classes) and Dalitaru (Dalits) – was Urs' brainchild and Siddaramaiah has been successful in renewing it and emerging as a chief minister with a social coalition beyond his party's own traditional base. Although the AHINDA grouping makes up more than 50 per cent of the population of Karnataka, it's likely that the Madigas among the Dalits and some percentage of the tribal voters could ditch the Congress. It's also not clear whether all the OBCs apart from Kurubas (Siddaramaiah's caste) would be inclined to back Congress. But Siddaramaiah is banking on his "Bhagya" welfare schemes to see him through. The BJP's challenge is bolstered by a solid organisation made up of all the branches of Sangh Parivar and dedicated cadre working on the ground. Despite Congress catching up in the social media space and shaping the narrative in the media, it is still well behind the BJP when it comes to ground connect. Congress expects to tide over that disadvantage by riding on the popularity of their mass leaders. In 2013, BJP had lost 14 per cent of its vote share as BJP splinter parties – Yeddyurappa's Karnataka Janapaksha Party and B Sriramulu's BSRCP - cornered almost 13 per cent votes between them. That also explains their desperation to project a scam-tainted Yeddyurappa as their chief ministerial candidate and hand out eight tickets to the Reddy brothers and their associates. Apart from ground-level canvassing and the financial might of the Bellary brothers, BJP is also hoping to reap the rewards of religious polarisation in coastal regions, where Congress had won 15 out of the 19 seats in 2013. But what might ultimately upset their applecart is the Lingayat vote. Yeddyurappa had gone into the 2013 Assembly election as leader of the Karnataka Janata Paksha demanding that Lingayats be accorded minority status. Five years down the line, he has been curiously mum on Siddaramaiah government's endorsement of the demand. Another reason Lingayat votes might shift is the perceived marginalisation of Yeddyurappa in the BJP after his son was denied a party ticket. Many Lingayats suspect that after projecting a 75-year-old Yeddyurappa as BJP's chief ministerial candidate, the party might ultimately go with Union minister Anant Kumar Hegde if BJP was to get a majority. Although BJP president Amit Shah and other BJP leaders have been going around claiming that Siddaramaiah's "Lingayat card" would backfire on Congress, Siddaramaiah is bullish on attracting a sizeable chunk of the Lingayat vote in north Karnataka. If that happens, Congress will not find it tough to add some three-four per cent vote share that they need for a decisive mandate. Congress had managed to raise their tally from 80 in 2008 to 122 in 2013 with a marginal 2 per cent swing – on account of the split in the Opposition. Therefore, they might need an additional 3 per cent votes for a simple majority against a united BJP this time around. The other major party in the fray is the Janata Dal Secular, which has polled around 20 per cent votes in successive Assembly elections from 2004. Patriarch Deve Gowda and his son HD Kumaraswamy are hoping to emerge as the kingmakers in the event of a hung Assembly. An alliance with Mayawati's Bahujan Samaj Party – which is contesting 20 seats in the alliance – has diversified their portfolio beyond their traditional Vokkaliga vote bank. In the event of a hung Assembly, Kumaraswamy is tipped to back the BJP after extracting his pound of flesh and blaming the Congress for poaching half-a-dozen MLAs of his party. In 2006, Kumaraswamy had broken away from a Congress-JDS government formed after the 2004 Assembly election to join hands with the BJP and form a government under his leadership. But when the JDS had to fulfil its end of the bargain and support Yeddyurappa as chief minister for the remainder of the term, he went back on his promise -leading the BJP to form a government on its own for the first time in a southern state. Even at that peak in 2008, BJP could muster only 34 per cent of the total votes to win 110 seats against the 80 seats won by the Congress with 35 per cent vote share. With all the splinter factions back with the BJP, a 2 per cent swing from what they together polled in 2013 (33 per cent) would then suffice for the BJP to get to a simple majority of 112 seats. The reason for BJP needing three-four per cent votes less than the Congress to get to a majority is because their votes are not as fragmented as the Congress. For instance, BJP is not a huge factor in the old Mysuru region where the Congress and JDS are fighting it out. Siddaramaiah and the Congress have been doing almost everything at their command to emerge victorious. A combative Siddaramaiah has made waves on Twitter with his incisive tweets and taking Prime Minister Narendra Modi head on in their exchanges. Towards the fag end of the campaign, Siddaramaiah has put his head down to concentrate on his turf in the old Mysuru region hoping to wrest seats from the JDS. 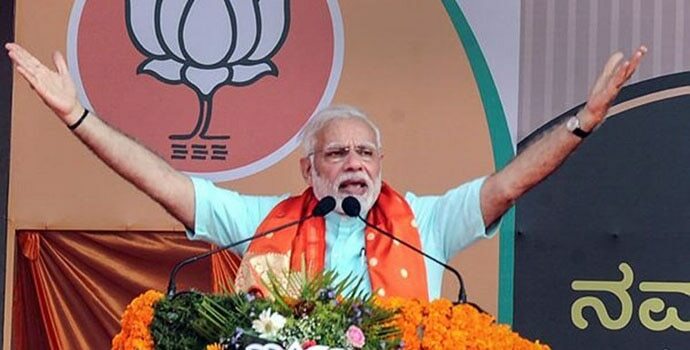 Modi has campaigned only in the last fortnight leading up to the poll and has managed to attract crowds despite the barriers posed by the language. But whether all that theatre and the barrage of jibes can get converted to votes in the south of the Vindhyas is a different proposition. Modi is no dobt popular among the professionals in Bengaluru and among the Hindi-speaking people. Modi's chief target in his campaign has been Rahul Gandhi, seeking to pit himself with Gandhi to offset Yeddyurappa's obvious shortcomings vis-a-vis Siddaramaiah. Siddaramaiah has turned out to be a master practitioner of real politik and might be able to stave off the onslaught from the Sangh Parivar led by the prime minister himself to win another term and arrest his party's slide. But anything short of a simple majority will be endgame for Siddaramaiah since an unlikely alliance between Congress and JDS in a hung Assembly scenario will be predicated upon Siddaramaiah getting replaced as chief minister. Whether rumours of a BJP-JDS understanding will see a consolidation of minority votes behind the Congress and prevent the splitting of the anti-incumbent votes between BJP and JDS remains to be seen. The election has gone down to the wire without an obvious odds-on favourite and it promises to be a thriller of a poll regardless of the outcome.